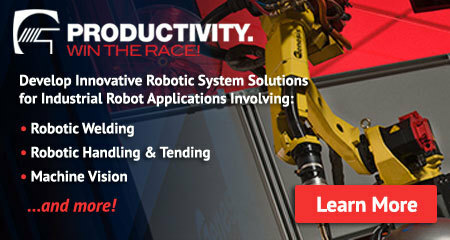 Robotic welding offers many bottom line benefits for manufacturers who choose to automate. Many of these benefits, depend on welding uptime. Unnecessary downtime can kill the productivity of robotic welding, eat into return on investment (ROI) and reduce the profitability of overall operations. Many manufacturers strive to avoid costly downtime by any means necessary. There are several proven ways in which you can minimize unscheduled downtime in robotic welding processes. These 6 best practices will minimize downtime, unlocking the full productivity potential of robotic welding while accelerating ROI. Preventative maintenance for all robotic systems keeps them at peak productivity and extends the lifespan of welding equipment. Welding robot operators should continuously check consumables to ensure there’s no excessive spatter or debris and ensure the reamer is operating correctly. This way consumables can be replaced during scheduled downtime, on a regular basis instead of halting production. Tool center point (TCP) refers to the end of the welding wire with respect to the location of the end of the robot arm. Through the course of heavy duty robotic welding, this can become misaligned, causing inaccurate welds and downtime. Poor wire feeding leads to poor quality welds, creating unscheduled downtime to correct the problem. Check to make sure the liner isn’t cut too short and that robot articulations aren’t impacting wire feeding. Using the wrong type of wire, drive roll or tension setting can also create improper feeding. Robot operators are responsible for maintaining peak productivity on a daily basis. Ensuring they receive constant training on the latest techniques will help them more effectively respond to downtime when it does occur, minimizing it’s impact. Welding robots have the potential to produce and capture a wealth of production data. This information is invaluable, giving manufacturers insight into what’s happening on the shop floor. Robotic welding data can reveal patterns in unscheduled downtime that may not be immediately apparent, allowing for ongoing optimizations that enhance productivity. Robotic welding productivity depends on high levels of uptime. Unscheduled downtime eats directly into productivity and can have significant bottom line impacts. The six best practices mentioned above will help any operation minimize their levels of downtime.